If you love the fall time.. Seeing the leaves change, cooler nights, Pumpkin Spice candles burning, cozy fuzzy sweaters, and all that good stuff.. Same. Fall has always been one of my favorite seasons. Something about being able to wear jeans and hoodies again (my favorite outfit). Drinking all the apple cider slushies, making homemade applesauce, and catching up on old classic movies. Hocus Pocus has been a favorite fall movie of mine for decades now, and I even quote it all year round with my sisters. In fact.. Our Snapchat group name for the three of us is “The Sanderson Sisters”. Not even kidding. So a few months ago, I don’t remember what I was doing, but an idea popped into my head to combine working out with some of my favorite Hocus Pocus quotes! I had such a fun time creating these ideas! 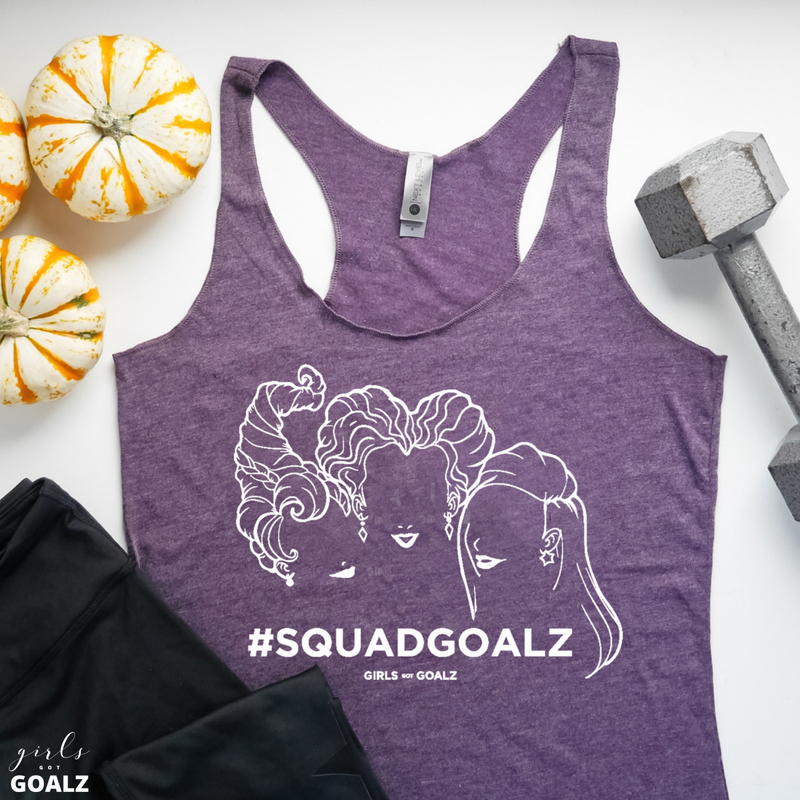 If you’re a Hocus Pocus and workout fan… I hope you love these as much as I do! Click on a photo to learn more about the tank quote and inspiration! These tanks are perfect for fall workouts and come in 5 different colors! The color you see here is a beautiful Vintage Purple, my favorite. Special shoutout to my awesome friend, Heather, for helping me bring these designs to life! SHARING IS CARING! KNOW SOMEONE WHO WOULD LOVE THIS COLLECTION?